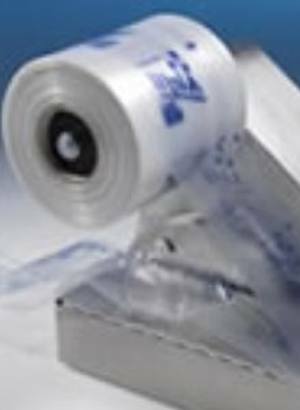 Amasec Airfil produces air pillow packing systems that provide companies with cost-effective and environmentally-friendly plastic ‘air bags’ to ensure products are packed securely and reach their destination in the best possible condition. The company’s core business is the supply of consumables so it needed to produce its machines cost-efficiently. It had outsourced production to the Czech Republic, but the unreliably of supply was undermining the cost benefits. Amasec approached Shearline Precision Engineering (SPE) to see if the production process could be improved so that delivery times and security of supply could be improved without an excessive increase in cost. Amasec provides its customers with a choice of two machines: Airfil A220, which can produce up to 100 pillows per minute, and Airfil A400, which can produce up to 180 pillows per minute. Two different designs were needed for producing two air pillow sizes. The company offers a variety of types of film including both recyclable, degradable, natural compostable formulations, and a range of sizes, from 200mm to 400mm wide, with the option of custom printing. The machines needed to be low cost, robust and easy to maintain. SPE took on this requirement specification and analysed the design and production process for the machines. Although it is based on a simple concept, the machine itself is complex with a pump, an air pipe, electrical equipment, isolators, solenoids, and drives and belts for ensuring the film is guided round and through the right heads. An additional problem was the absence of any technical drawings for the machine. SPE took the machine apart and started to engineer improvements into the design. The process was documented to create drawings and a bill of materials. Working closely with the customer, SPE made efficiencies such as standardising the drill-hole size, which reduced the number of different components required and the amount of tooling. The result was a much more standardised product at reduced costs, as the need to change tools when assembling, or when servicing and taking the machines apart, was removed. The initial order was for 25 of each of the A220 and the A400. These machines are made out of stainless steel and SPE was able to make every part from scratch. SPE took responsibility for the entire project including machining the parts, sourcing components such as transformers, pumps, cables and connectors, creating the sheet metal parts for the final structure, and assembling the final product and testing it. Amasec provided the control software which SPE uploaded into the chip and also tested. By having responsibility for the whole project, SPE was able to build the correct tolerances into the products and capture the production process in a good set of technical drawings. This is vital for quality control. Amasec was able to specify improvements to the design and SPE adapted the production process to address these requirements. The technical drawings and standardisation improvements made by SPE also mean that Amasec is not tied into one supplier and has the flexibility to respond effectively to peaks in demand. The result is a machine that is cost-efficient to manufacture and maintain.